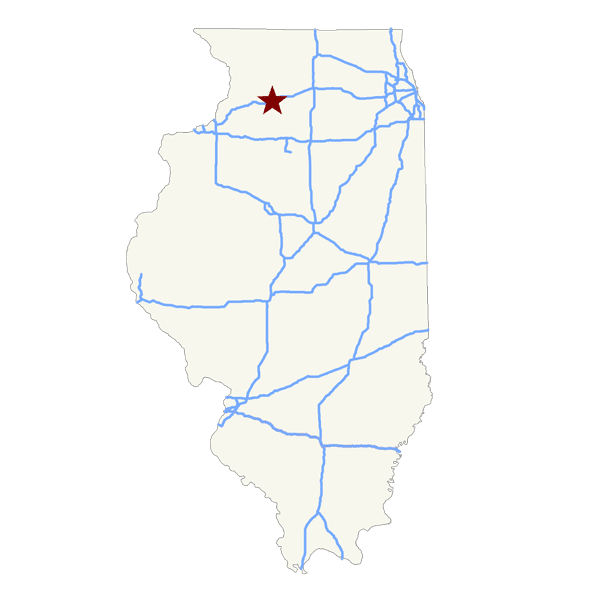 See all the Rock Falls, IL Data from Data USA. In 2017, Rock Falls celebrates its Sesquicentennial (150th) and our ability to thrive and endure through the years is why we pride ourselves on our hard-working, friendly people and businesses that are both capable and willing to serve and assist. 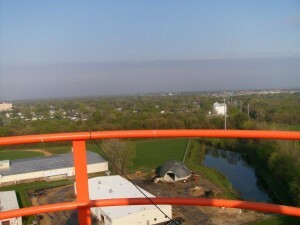 Founded on the south bank of the Rock River in eastern Whiteside County in 1867 by A.P. Smith, Rock Falls is on your way no matter where your destination. Centrally located between the Iowa/Illinois Quad Cities to our southwest and Rockford on our northeast, Rock Falls is located at the intersection of US Route 30 and Illinois Route 40 and is adjacent to Interstate 88 with two interchanges. Downtown Chicago is only two hours away and the western suburbs are only an hour’s drive. The Rock River remains our community’s most valuable recreational asset and is a part of the 330-mile long Rock River Water Trail which is recognized by the National Water Trails System. Home to some of the world’s best cat fishing, we are now the home of the Bass Pro Shop’s Big Cat Quest Fishing Tournament. 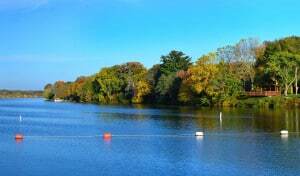 The Rock River is also a quiet Mecca for recreational boating. The historical Hennepin Canal runs through the city’s east side with great recreational trails along its banks. The City offers peaceful, scenic park views with tennis courts, ball diamonds, soccer fields, picnic shelters, canoes and paddle boats and plenty of parking. Rock Falls is the birthplace of the world famous jazz drummer, Louie Bellson who was deemed “the world’s greatest musician” by Duke Ellington. Louie often returned to Rock Falls and played many concerts for his hometown fans. 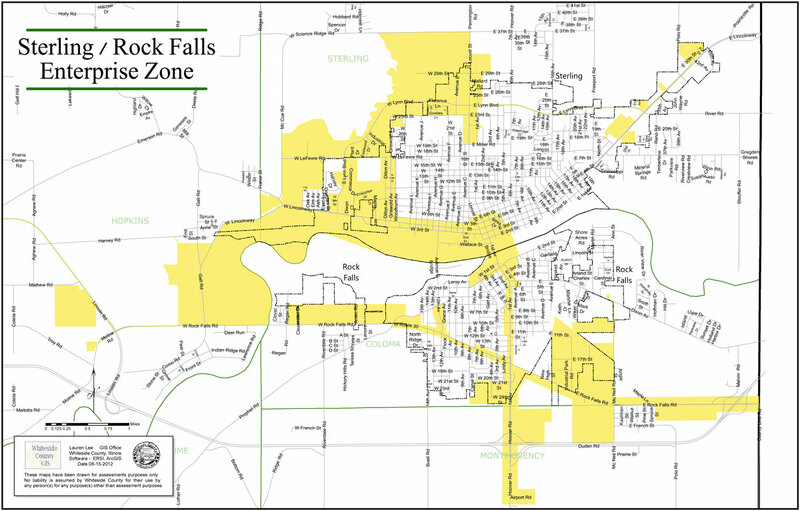 Rock Falls is very proud of its workforce, schools, healthcare facilities, recreation, clubs and organizations and most importantly, its people. By pulling together, we are making things happen in Rock Falls. I invite and encourage YOU to stop and enjoy our town. Find out why we are ‘Proud of our Past’ and confident of our Future! This +/- 61 acre development property is located 250 yards from the Chicago-Kansas City Expressway (I-88) interstate exchange. Frontage is adjacent to IL Route 40 and US Route 30 is less than ½ mile to the north. This acreage is prime for commercial use and is zoned B-2. Strategically located along the CKC Expressway, IL Route 40 & US Route 30 make this property perfect for developers desiring high traffic counts. Municipal water, wastewater, electric and fiber are currently being extended to this property. 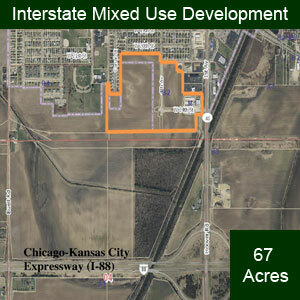 This 65 acre development property is conveniently located less than 800 yards from the Chicago-Kansas City Expressway (I-88) interstate exchange. It is highly accessible from the interstate exchange with a 240 ft. taper into a 500 ft. full-width northbound turn lane into the property. The property is zoned for Mixed Use Development (MU-1). Its frontage sits along IL Route 40 and it is also less than 4/10 of a mile from heavily traveled US Route 30. Municipal water, wastewater, electric and fiber are currently available, making this a perfect shovel ready site. Rock Falls’ utilities are second to none, with the Rock Falls Electric Department having the national RP3 ranking as a Reliable Public Power Provider. This 6 acre development property is shovel ready and sits along the banks of the beautiful Rock River in the RB&W District. Located on the newly constructed East 2nd Street, 1 block from IL Route 40, this intersection enjoys the busiest traffic count in Whiteside County. 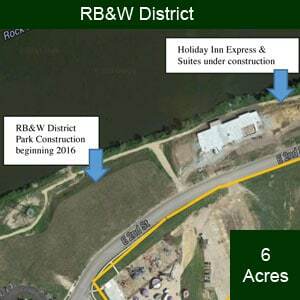 A new $7.1M Holiday Inn Express & Suites (completed May 2016) sits on the northeastern edge of the property with a new community park currently under construction on the northwestern parcel. For details on incentives, visit the Whiteside County Economic Development & Enterprise Zone site. The State of Illinois offers businesses excellent incentives to locate and do business in the State of Illinois, including tax credit and exemptions, job training grants, low interest loans and many other incentive programs. For State of Illinois Incentive Details go to the Illinois Incentives and Tax Assistance web page. 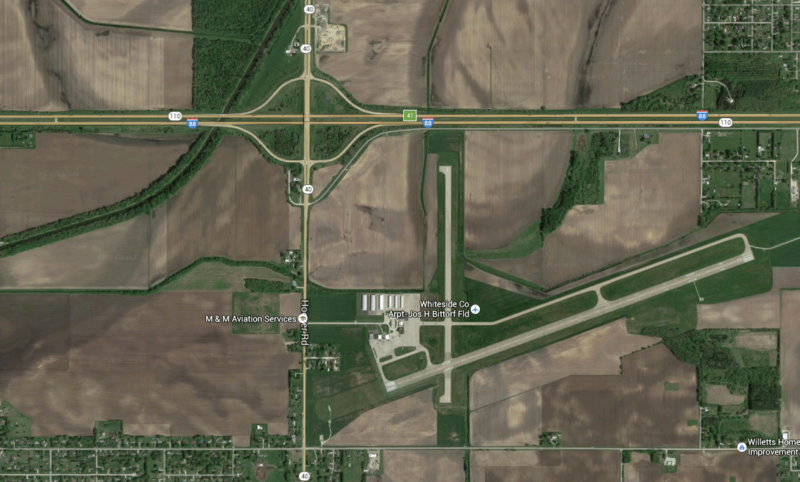 The Whiteside County Airport is conveniently located less than ½ mile from the Kansas City-Chicago Expressway interchange. Joseph H. Bittorf Field has a 6500 ft. runway. Hydroelectric facility on the Rock River assists the city in its 24 megawatt peak demand. For more information, visit our department web page. For more information, visit the department web page. 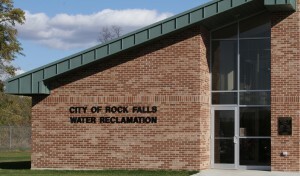 The City of Rock Falls Water Reclamation facility opened in July 2011. The facility is designed with extra screw lift channels and piping to allow the addition of a mirror copy of the plant to be built directly east of the current facility thus doubling the current plant capacity. The collection system consists of 11 pump stations that are monitored 24/7 by a Cloud SCADA for data collection and emergency notification via cell phones. Pump stations also have emergency stand-by power generation if needed. For more information, download the Water Reclamation brochure or visit the department web page.